For a long time I’ve wanted to get a full-time professional colorist on the show. So I’m happy to announce that I finally have. 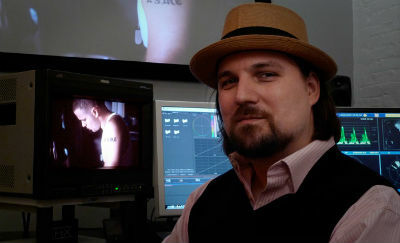 Today we have author, teacher and color grading guru Alexis Van Hurkman. Alexis is the author of “The Color Grading Handbook,” which was the best-selling book at NAB two years running. He’s also has a Ripple Training video about DaVinci Resolve. But in addition to his color grading prowess, Alexis is also an accomplished writer and director. From his degree in theater arts, to how the world of Hollywood works, this is a great episode for anyone interested in making it “in the biz.” I contemplated making this a two-parter, but decided just to keep it all in one, juicy 87 minute episode. Mike Duval from LensProToGo talks about AF fine tuning.